How to create a Monthly free discount? 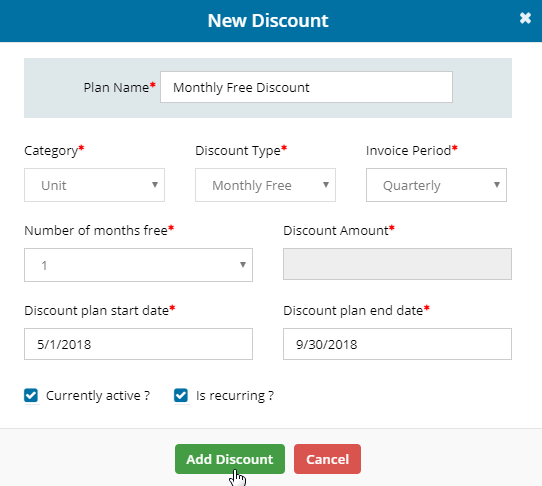 To create a new discount click on Add discount. 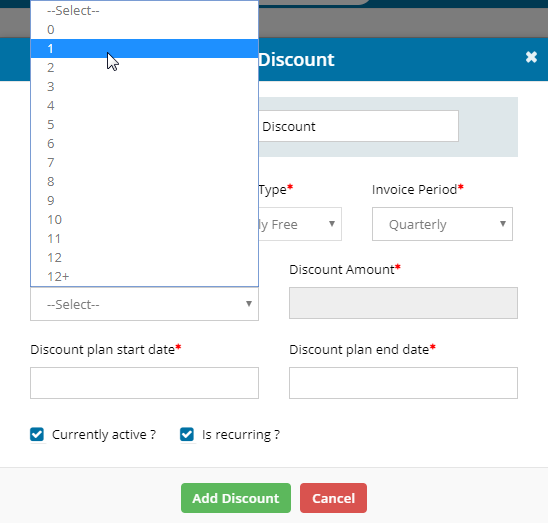 Select the discount as Unit Based Discount from the drop down list. And choose Monthly free discount. This type of discount is reflected only in the All units feature where you could assign it for specific Unit. Note: Even if the occupied tenant Moved-out from the unit, the discounts exists in that unit and it can be utilized by another tenant who occupies the same unit in future. 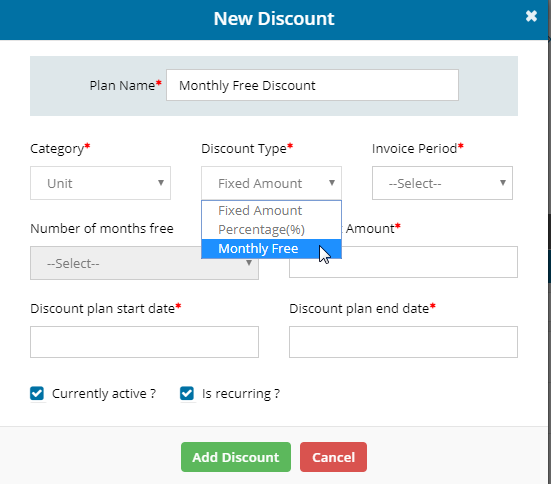 Plan name field is customizable based on the required seasonal offers. 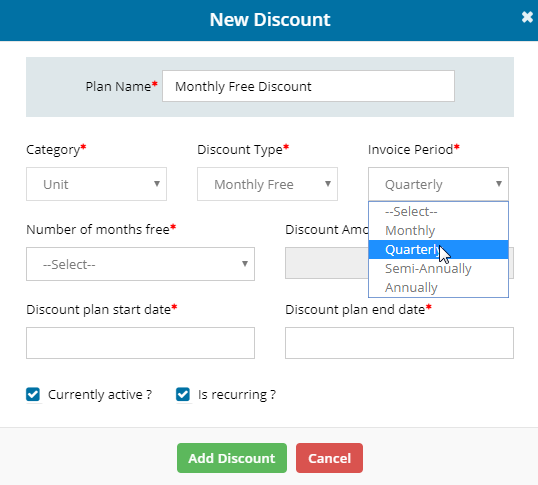 Based on the Invoice period the discount can be given. For example if you wish to give one month free for Quarterly billing cycle tenants that can be done. Set the number of months you wish to give free. Start date and To date of discount can be given as you wish. 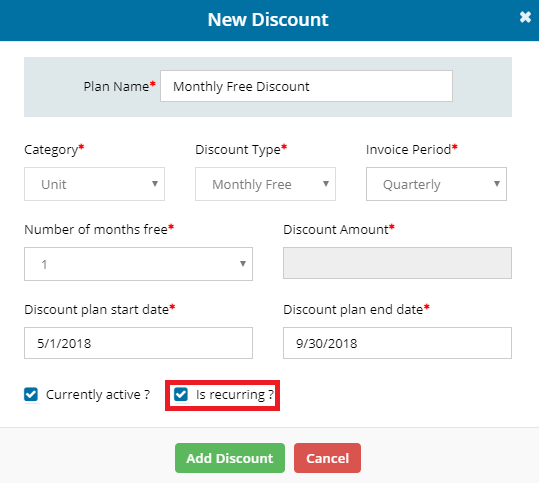 Finally, hit on Add Discount button.